Designed specifically for Australian Teachers!!! A collection of various HASS geography posters to use when studying the 'geography' strand of HASS or when learning about features of places and caring for places. 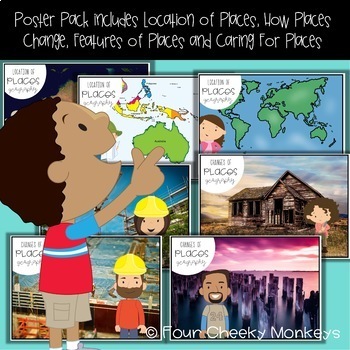 In this pack there are over 25 posters that are designed to generate discussion while helping children to develop their understanding of features of places, caring for places and how places change over time. The posters are A4 in size, but can be printed to A3 without loosing any picture quality by simply adjusting your printer settings. 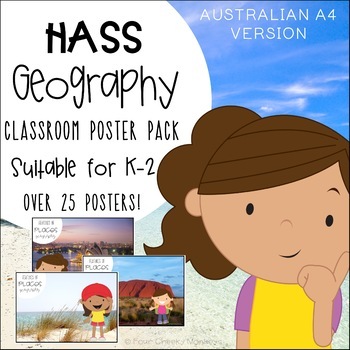 These HASS geography posters are specifically designed for early childhood aged children are would make a wonderful teaching resource for children aged between kindergarten to year 2. 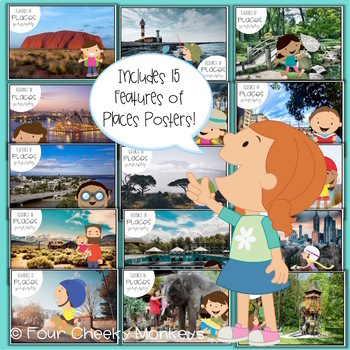 The realistic visuals combined with cute clip art make them ideal for a classroom display when learning about features of places. I have aimed to include a variety of posters that include landmarks familiar to most Australian schools. Please select those that are most relevant to the children you teach. This version is in A4 and contains Australian English spelling. 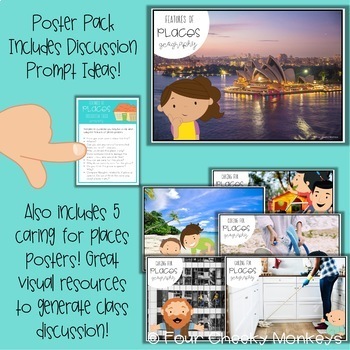 HASS Geography posters and printables coming SOON! HASS family pack available HERE. If you have any questions or are after a specific resource, I’d love to hear from you!